Signed l.r pencil "Kenneth Jack". Signed with initials "K.J" in block, to print l.r. Dated "1953" in block, to print l.r. corner. 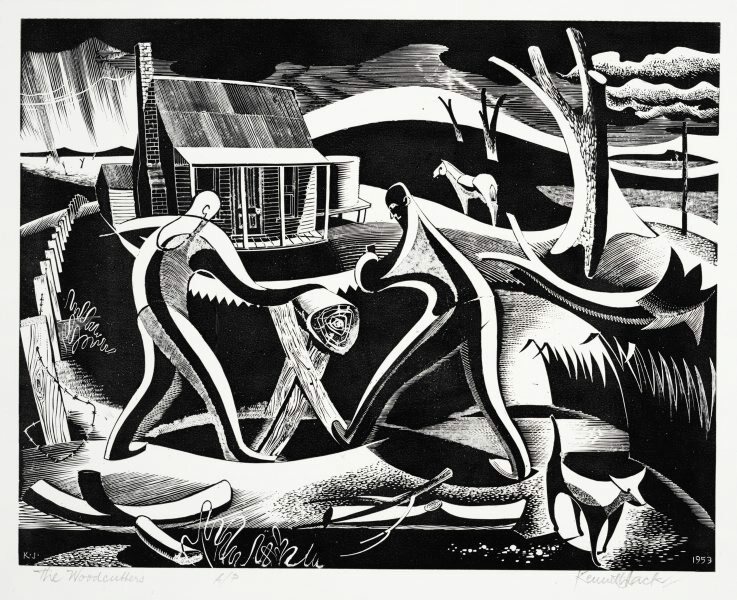 Lou Klepac, Kenneth Jack printmaker: prints 1946-1996 , Roseville, 1998, 13, 20-21, 40 (illus. ), 119.